OCTOBER was a great month in Islamorada this year. Although we experienced a couple minor cold fronts, the days following those fronts had some of the most beautiful weather I have seen in the Florida Keys in a long time. With air temperatures in the mid-70s and wind speeds at less than 10 mph, fishing conditions were at an all time high if you caught it on the right days. As with September, October produces some of the higher water we see all year around Islamorada. 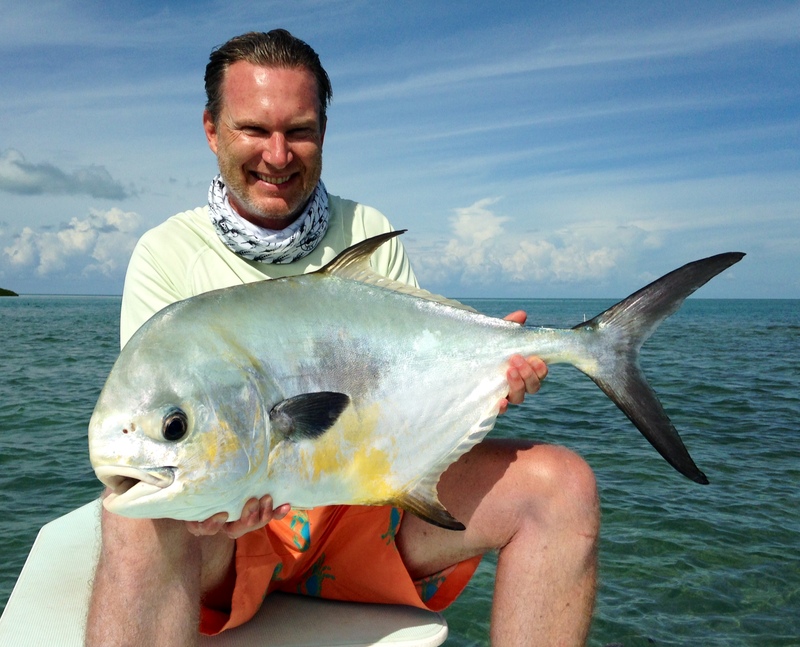 Anytime you have big water, you can expect to find permit. This October was no exception. Both photos above are anglers of mine with their first permit ever. Sight fishing permit can be very frustrating at times due to the fact that permit are wary feeders when up on the flats. You don’t typically get too many opportunities to cast at them until the gig is up and they are long gone. However, if you can handle the frustration, the payoff can be great. 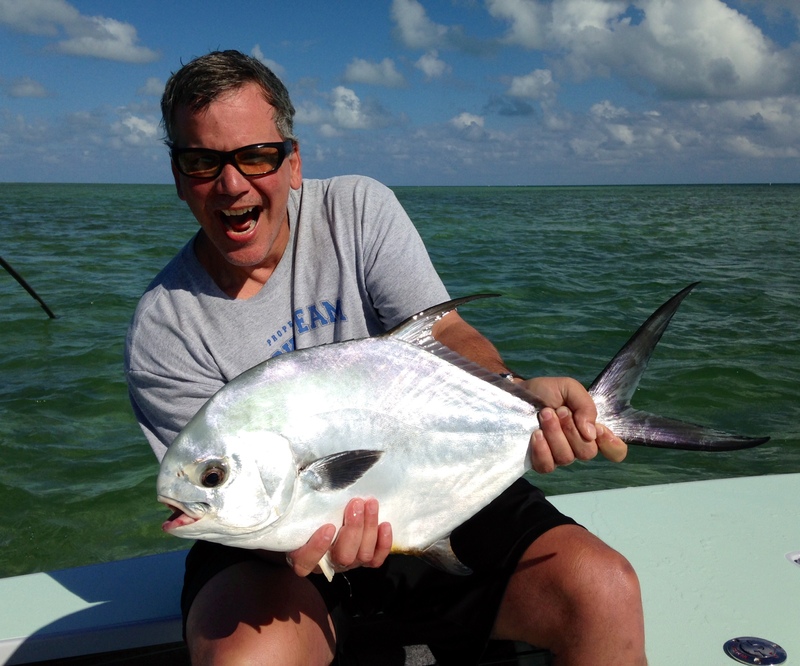 Although tackling a permit on a fly rod can be very difficult at times, most permit will readily eat a well placed live crab delivered by a spinning rod. Unfortunately, there was a stretch of bad weather this October when one of my good friends and clients from Texas came to visit. Although we did not see sunlight for the entire four days we fished together, we had a number of great afternoons fishing for big, downtown tailing bonefish. 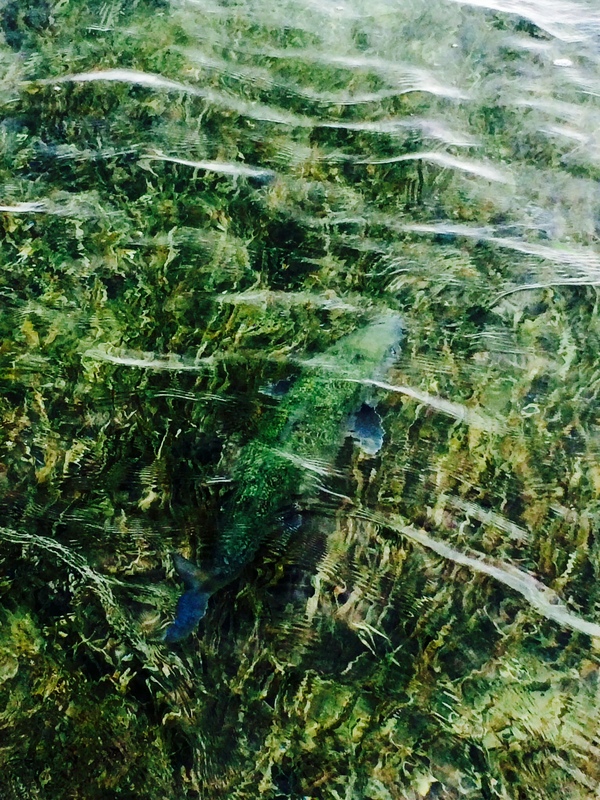 After the rain ceased, we would run out and find singles and pairs of these elusive fish feeding aggressively up on the downtown Islamorada flats. It took us a few days to fool one, but on the last day we landed the monster depicted in the picture above. It truly amazes me how camouflaged these bonefish really are. No wonder they are so difficult to see on the flats! Posted on November 12, 2014 November 12, 2014 by boubosso	Bookmark the permalink.